This Paw Patrol Birthday Sign is 8x10 inches. The download is a high resolution JPEG file of the sign. 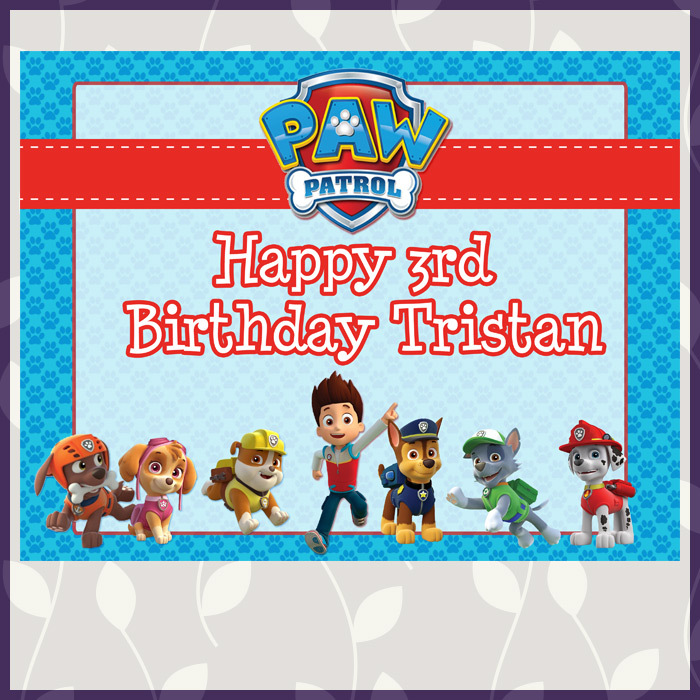 See the whole set of Paw Patrol Party Printables Dark Paw Theme. HOW DO I GET THIS TO SAY Happy 3rd Birthday Malakai??? How do I get this to say Happy 1st Birthday Jax? how do I get this saying 2nd birthday gabriel ? How can I get this to say "Happy 1st Birthday Thiago? How can i get this to say HAPPY BIRTHDAY EMERSON??? Am unable to download.. Can you help? How do I very it to say HAPPY 3rd BIRTHDAY JULIUS ? How can I change the name? Anyone know?